Yu Darvish's agent Joel Wolfe blasted the "classless" comments of Alex Rodriguez, who said the pitcher's presence in the Chicago Cubs' clubhouse was a distraction and bad for the team. 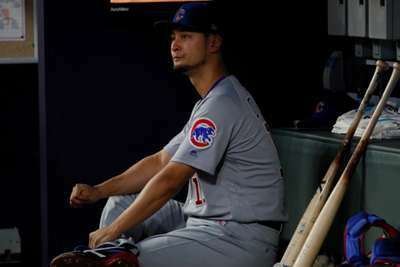 During the Cubs' game on Sunday against the St Louis Cardinals, Rodriguez was speaking on ESPN's telecast after Darvish was shown in the dugout. Darvish is dealing with tendinitis in his triceps, which has sidelined him for two months, while he has struggled since signing a massive deal with the Cubs this year. He's 1-3 with a with a 4.95 ERA in eight starts and has been on the disabled list twice. "The problem is, and I'm pretty passionate about this, when you have 25 players coming to the stadium, you're there to do one thing and that's win a ballgame," Rodriguez said. "You want all the energy, all the focus, all the analytics, all the stretching: What are we going to do today to win a ballgame? "And when you have a guy that signs an enormous contract and he's sitting down, and you walk in the training room, and he's got two trainers working on him, you go into the video room and you have a guy looking at video ... [Darvish] should be in Arizona somewhere getting treated. "But don't get in the way of 25 players going after one mission: to win a ballgame." Wolfe, however, was quick to hit back at Rodriguez's remarks. "I think it was classless and bordered on unprofessional to take a little nugget of somewhat exaggerated information from one person that maybe he had history with and turning that into a spokesman for the entire team," Wolfe told The Athletic. 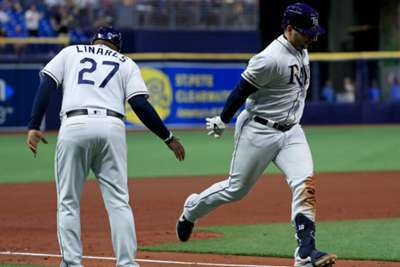 "[Rodriguez is] attacking a player who is injured and on the disabled list, which is difficult for any player, especially one who has a big contract and is in his first year [with a new team]. "Imagine how difficult it is for Darvish. But then also attacking him for staying with the team? "During A-Rod's absurd comments, the video shows that Darvish was right there on the top step in the dugout cheering on his team-mates, which is what you want from somebody like that. He wasn't hiding out in Mesa at the spring-training complex or back home like A-Rod was when he was suspended."